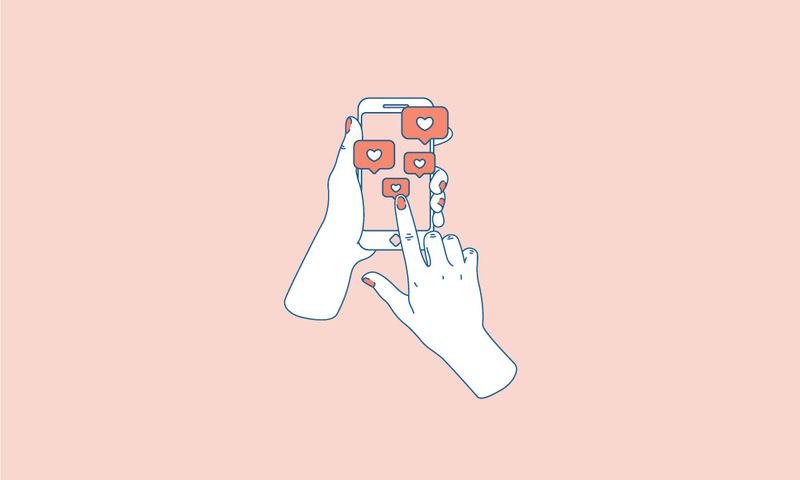 Companies that proactively manage their social media presence can foster positive perceptions about their brand and influence consumer behavior. But it’s not as easy as choosing the right filter and hashtag. Brands must constantly re-evaluate and refresh their social media content to avoid stagnant results. This spring, take a moment to reflect on and reinvigorate your social media strategy with the following steps. It’s important to take stock of how your brand is performing and whether it lines up with broader communication goals on a regular basis. Every few months, review your brand’s social media profiles and answer the following questions. Are you on track to reach your current social media goals? Are your recent posts aligned with your social media objectives? Do your social pages align with company campaigns and promotions? Do your posts have a consistent voice? Is that voice carried on other platforms? How quickly do you respond to comments, DMs, and reviews? How do you engage with others? Are your channels still relevant? Are you using them appropriately? Has your target market evolved? What do your reviews say about your company? Complete general housekeeping on a regular basis so your team is always up to date and ready to work. Log the passwords for your social channels so that you can easily access them when needed. Remember to manage authorized users regularly so that only people who should have access, do. Social media is about creating and nurturing an online community, so don’t be afraid to engage with others that are aligned with your brand. Review your current bios and make sure they’re consistent with your brand’s voice and the platform’s function. Update your bio regularly with accolades and achievements, or new products and markets. Archive photos that are no longer relevant to your business. If you’ve remodeled your facilities or updated your menu, make sure outdated images are no longer online. Ask someone outside of your organization and social circle to give you their feedback on previous posts. You may discover that some find certain content culturally insensitive or patronizing. Even if posts are buried in your social feeds, they may still resurface and tarnish your brand’s reputation, so remove any content that you don’t want attributed to your brand. Ninety-one percent of people regularly or occasionally read online reviews. Requesting reviews from satisfied customers helps your business build a positive online presence. Make sure to vary where you ask them to post so that you have even coverage and consider what platform their review will make the most impact. Additionally, take the time to manage negative online reviews. Responding to unsatisfied customers gives you a chance to address issues and correct misperceptions, and can make others customers see you in a more positive light. When crafting your response, use a polite and humble tone and be careful not to come across as defensive or critical of your customers’ experience. Ensure a constant supply of new content by connecting with other departments in your organization to identify upcoming events and announcements. Create Google Alerts for keywords relevant to your business and use incoming alerts as a source of relevant content to share with your followers. Develop brand messages that inspire admiration or offer value to users. Research new online groups to engage and consider collaborating with other organizations or influencers to grow your reach. Research hashtags that align with your organization, industry or product. Don’t just use these hashtags in your posts, use them as cold leads. Follow relevant hashtags and comment on posts from other brands with ideas or advice. Social media is about creating and nurturing an online community, so don’t be afraid to engage with others that are aligned with your brand. Do you have plans to Marie Kondo your social media strategy? What spring cleaning activities do you hope to complete in the next month to reinvigorate your social channels?